2018 was my first year attending 110 Above and it definitely won't be my last. A small intimate festival with a great lineup. Everyone I met was really friendly - from the security and staff to attendees. 110 Above offers a unique charm that isn't quite matched by other larger festivals. Great pricing is also a bonus with a pint costing £3.50 and food costing very little. I would recommend to a first-time festival attendee looking for their first experience, a festival veteran and any one in-between. Cracking intimate festival, great acts and no stage clash as alternate the 2 main stages. Lovely crowd and cheap beer. Great after headliner parties down in the bar/courtyard with singalongs a plenty to the early hours. Only downside,.......lack of sleep. My husband, myself, my 2 month old baby girl and my parents all attended this years 110 Above festival. We camped from Friday to the Monday morning and could not recommend this event any more! The bands were incredible, the venue was beautiful and most of all the staff were incredibly accommodating for our 2 month old. We will be back next year with even more family and friends! Our first weekend at 110 above festival was really wonderful. The acts were brilliant, the decorations were pretty and seemed personal, and each of the stages had it's own lovely essence. Coming to the festival as a couple with no other friends seemed daunting but we had such a lovely experience we will definitely be back next year. Great company (inclusive of a brilliant woman who put biodegradable glitter on our face to add an extra sparkle to the weekend), the people, the acts and the effort gone into decorating the festival grounds are what really makes this festival special. Also, you can see how hard each member of staff is working to ensure the smooth running of the festival and this is a credit to the team. All in all, a brilliant weekend with a range of ages and an inclusive atmosphere. 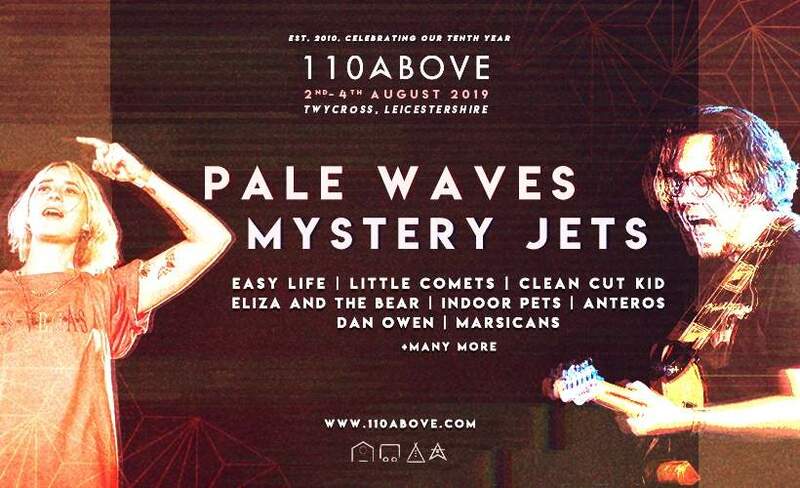 110 Above is on sale with Gigantic - the best place to get tickets for all your favourite festivals. We are incredible excited to be able to offer you 110 Above tickets, but we must also make you aware that the demand is sky high so you will have to book yours before they are all snatched up. Fortunately, placing an order for your favourite gig tickets is made easy with Gigantic as you can access our site from the comfort of your home or whilst busy and on the go using a computer, smartphone or tablet.